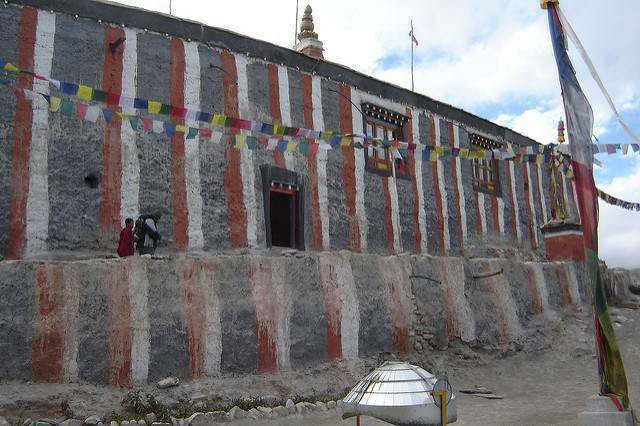 Thubchen is a beautiful monastery with some really gorgeous paintings on its walls and roof. The whole monastery has some really good looking wooden carved doors. The main entrance has four figures / statues with huge prayer halls.